An African artist who has garnered worldwide recognition while based permanently in Nigeria, El Anatsui is best known for shimmering tapestries made from liquor bottle tops, which are part of the permanent collections of many of the world’s great museums. Author Susan M. Vogel, who worked closely with Anatsui, offers a uniquely personal perspective on the artist and provides the first penetrating study of his artworks. Accompanied by nearly 150 images, this book traces his lifelong exploration of media leading up to the bottle top art form that has captured the interest of the global art world. The book explores the artist’s themes of loss, chaos, and decay, his Nigerian University intellectual community, and his creative studio practice. 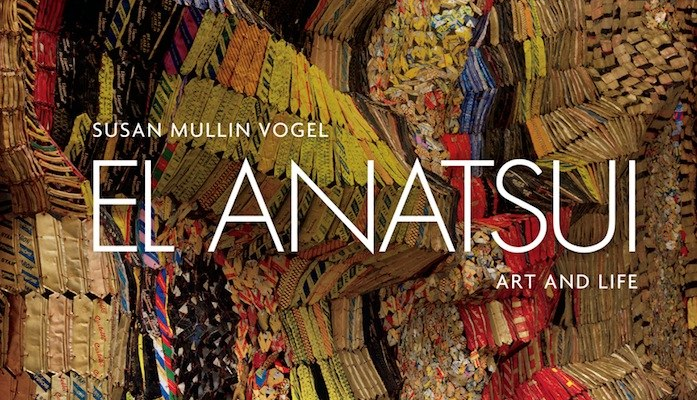 Vogel traces the intertwined threads of Anatsui’s ideas, life, and art, from his youthful searching and desire to express Africa’s history to today’s work that can be immense and ethereal.